A Troop Is a Group of Monkeys is fun for the whole family! Learning the plural of each animal name in a whimsical way. You will see a troop of monkeys swinging, a pride of lions licking paws and so much more. 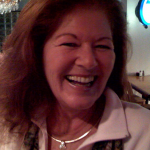 Check out the videos for a clear example of this valuable app. This comes together in a wonderful song, making it very easy for kids to remember the new words they are learning. This app teaches a lesson in the enticing way for kids. It is light hearted, lyrical, and visually attracting! A great app for teachers that follows Common Core standards and includes information for teachers and parents on how to enhance a reader’s comprehension with reading strategies and activity ideas. 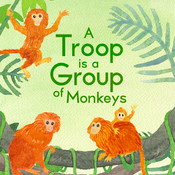 A Troop is a Group of Monkeys is presented to us by Little Bahalia Publishing. Check out the interview below for more Bahalia news! Complete with Teacher and Parent Guides and Tips! Three Peacocks are an Ostentation! This Song Will Keep You Coming Back – to Smile! 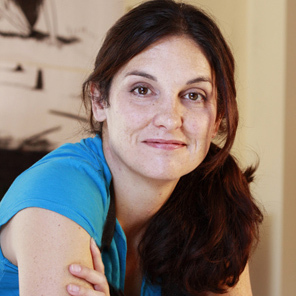 I met Julie Hedlund, the author, when I was presenting at an SCBWI conference (Society of Children’s Book Writers and Illustrators). My topic was digital books, and Julie approached me with her manuscript for Troop, complete with a storyboard of suggested interactions and sounds. I was very impressed by her passion and professionalism, but also completely charmed by the app idea. I don’t think there are enough non-fiction interactive storybooks out there (that are cute). And so we did it. Pamela Baron’s animated watercolors. Maybe it’s because I’m an illustrator myself, and I see ho hard she works behind the scenes—but honestly, to paint every animal separately, with moveable parts, and then scan them in and then digitally re-assemble them? It’s totally amazing. And the final layouts are so lovely. It’s not just one app! In May we will be releasing the sequel, “A Shiver of Sharks,” about ocean animals, so look out for that. Also, in Fall we will be releasing the book—as in, the printed, paper book. It will be available in wide release, and will feature animals from both apps, plus a few more to round out the selection. Fans of the songs should look out for those as downloadable treats for kids, too.